KNX Member - association which consists of about 350 companies focused on the production of devices for the automation of apartments and buildings, based on the KNX standard. KNX - intelligent system control of any building from private homes to large-scale buildings. 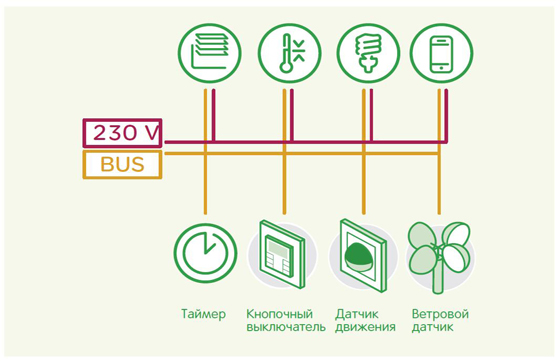 A bus wire connects devices in a common network in the building, it offers a huge potential in energy efficiency, safety, security and comfort. The advantages of this technology include a significant reduction in energy consumption, time savings and flexibility for future changes. Automatic control of lighting and heating, allows you to save energy and reduce financial costs. 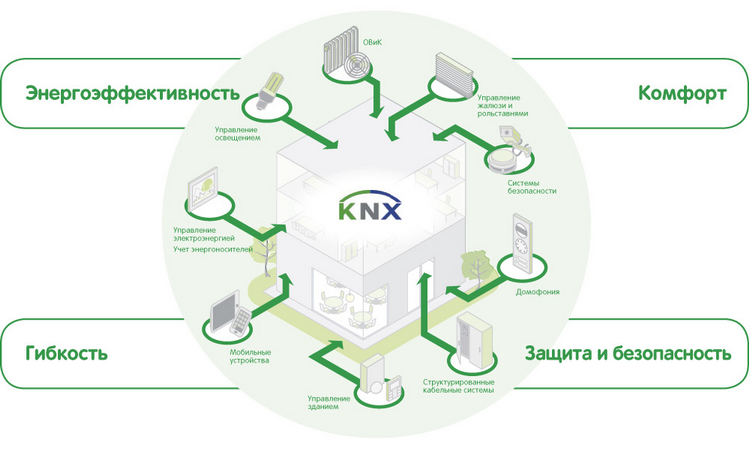 KNX technology has an architecture that links all system components, reducing system design time and time to install it. KNX-system is easily extensible, and allows you to connect additional devices to the already running network. Monitoring of all devices in the apartment, from heating system to management of appliances, is done by using the touch panel. KNX - opens up new horizons for improving the level of comfort and security in the apartments and buildings.